← Nice album plug by Martin Taylor! 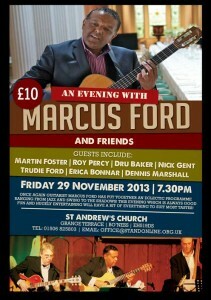 Marcus has been asked to once again put on a concert at St Andrew’s Church Bo’ness on Friday 29th November . 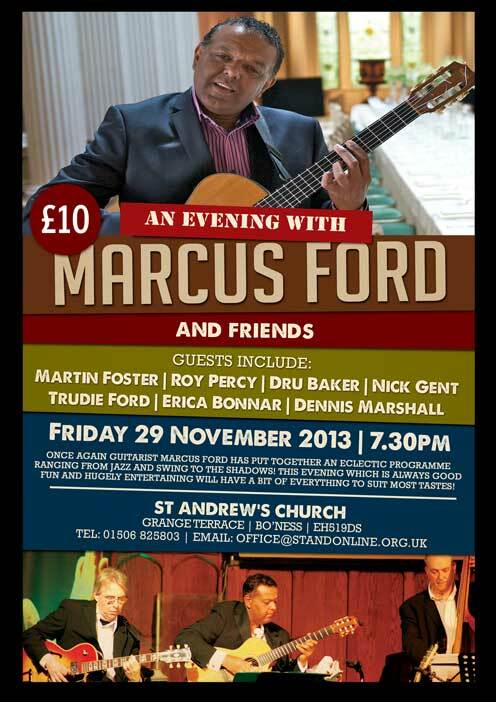 These concerts have proved very popular in previous years and guests include on saxophones Martin Foster and Dru Baker, guitars Nick gent and Marcus Ford, double bass will be played by Roy Percy and other guests include Dennis Marshall and vocalist Erica Bonnar.